Alignment refers to the adjustment of a vehicle’s suspension. Your suspension points your vehicle’s tires straight down the road when it is properly aligned. When your suspension goes out of alignment, it causes irregular tire wear and steering inconsistences. A variety of factors can cause your vehicle to go out of alignment. These include impacts with potholes, curbs, or other objects. Each of these jarring blows shakes your suspension, causing it to stray from its ideal alignment settings. Also, your vehicle can naturally go out of alignment over time. Normal wear and tear causes rubber suspension components to crack, ball and socket joints to loosen, and the cumulative effect of thousands of small impacts can exert themselves on your vehicle’s ideal alignment settings. Why else might misalignment occur? In many other cases, worn suspension parts also cause alignment problems. Worn springs can lower ride height, altering your vehicle’s geometry and creating misalignment. Weak springs contribute to uneven or “cupped” tire wear. Worn ball joints commonly cause erratic handling, slow steering response, and irregular tire wear. Finally, worn tire rods allow the tires to wander left to right. This unwanted motion changes the tire’s ideal angle, and causes irregular tire wear as the vehicle rolls down the road. 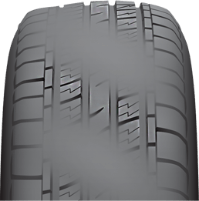 If you notice your vehicle pulling to the left or right, you detect irregular tire wear, or if the steering wheel is off center when driving straight, you should have your vehicle inspected for possible alignment concerns. Alignment issues that go uncorrected will cause tires to wear down and need to be replaced prematurely. Though Discount Tire Direct is unable to offer alignments, we want to provide you with useful information about how alignment settings can affect your tires. Alignment technicians adjust four different settings to put a vehicle in proper alignment: caster, camber, toe, and ride height. Refers to the angle of the steering axis, which is the suspension component supporting the wheel and tire assembly. You can visualize the caster as an imaginary line that bisects the tire’s upper and lower ball joints. The caster can be negative, centered, or neutral. A properly aligned caster contributes to steering feel and high-speed stability. Describes the tire’s inward or outward tilt, when viewed from the front. 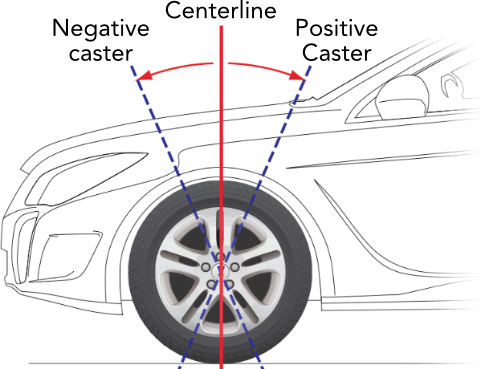 Negative camber refers to a tire tilted to the right, while positive camber refers to a tire tilted to the left. This adjustment can maximize the tire-to-road contact, and account for changes in force as a vehicle turns. Out of each alignment adjustment, camber has the widest range of recommended settings. This range can accommodate different vehicle handling characteristics. Higher negative camber suits those who corner aggressively, while less negative camber suits those who perform very little hard cornering. Describes the relationship between a tire’s front and rear end, as viewed from above. The tire’s front ends can be either closer or farther from each other. Front wheel drive vehicles require a compensating toe-out setting on the front axle, since the front wheels pull toward each other as the vehicle moves. Rear wheel drive vehicles can have a toe-in setting on the front axle, since these wheels pull away from each other during acceleration. Refers to the distance between the road and the vehicle frame. The ride height provides reference points for all alignment measurements. Any deviation from the factory ride height, such as lifting or lowering a vehicle, will need to be properly aligned after the customizations have been performed. 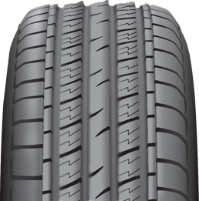 A tire expert can often observe wear on a tire and determine where your vehicle is out of alignment. 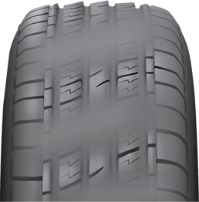 Check our troubleshooting guide to see what your tire expert sees. Each of these cases will need an alignment to correct the issue and prevent future irregular wear. 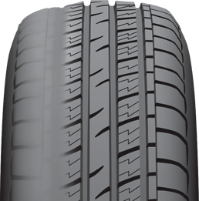 This list does not include every wear and misalignment possibility, but spotting these major symptoms can help you get the most from your tires. Learn more about Tire Rotations.